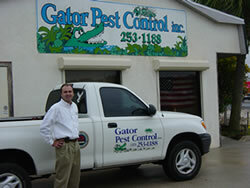 Gator Pest Control has been servicing Brevard County for over 10 years. Tino Villaverde, owner, has over 15 years experience in the pest control field. His company is dedicated to providing the best possible pest management and developing personalized relationships with its clients.